Many businesses are starting to realize that they need Mobile App Development to help them accumulate more sales while also increasing their marketing efforts. Businesses who use Mobile App Development to assist them can choose to use either web apps or native apps. Here is a look at Web App Development and Native App Development to help your business decide which option is better. 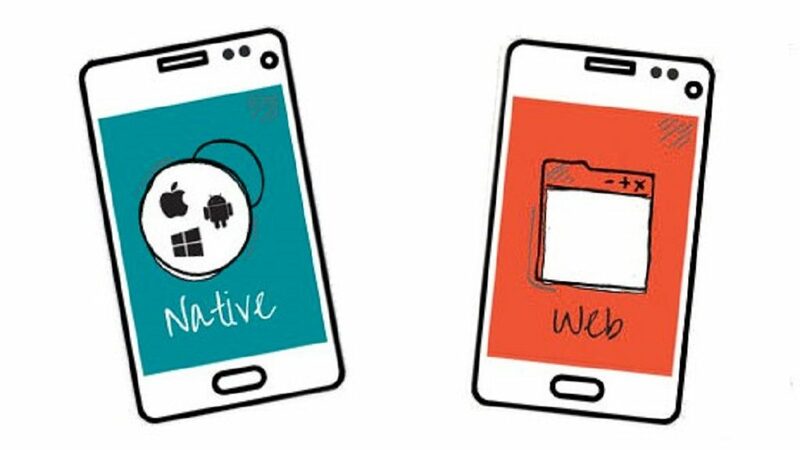 Native apps function on a device while Web apps run on the inside of a web browser. You must download native apps from the app store and then install it to access the app. Web apps run directly through the web browser. Native apps reside on the device where they are created. Because native apps are created specifically for a device, using native apps can be easier than searching for a web app at times. Native apps have fencing technology that allows makers to set up virtual perimeters. Once you enter one of the boundaries, you will activate the app. Many businesses are using fencing strategies to improve their marketing efforts. Many native apps give you the option to sign in using a social media account such as Facebook or Twitter. This helps simplify the log in process and save you some time. Many web apps are not equipped to allow you to use other apps to sign in. Your phone uses Near Field Communication when it pays for things. Web apps are not able to interact with the Near Field Communication chip that allows the payments to go through. Research has shown that mobile payment options enhance the customer experience. Many native apps have unique features such as a proximity sensor and wake lock. These are features that are only available through a smartphone. The wake lock feature occurs when an app is able to overrule the settings for turning off the screen after the phone has been inactive for a lengthy amount of time. Many web apps do not have these features. Web apps are known for their ability to create an app like experience for the user while they are viewing the content in a web browser. Many web app creators specifically looked for ways to eliminate a lot of these issues that people complain about when they use native apps. Today, many web apps are using the newest edition of HTML, a coding language that serves as the foundation of the internet. Billions of people use the internet every day. That creates lots of opportunities for businesses that prefer web apps. You don’t have to use any energy to try out a web app. You may only have to make a simple click to bring up a web app compared to using a native app, where you’ll have to find the app, download it, and then install it before using it. Many web apps are able to implement the design capabilities that mobile websites use. Once the program has been written, it can run on any platform. The content adjusts itself based on the screen size and the type of device that the web app is being accessed on. The web app experience will likely be the same regardless if you need to move an arrow around the screen or if you are swiping up and down or across on your smartphone. Due to the relative ease of creating a web app for consumers, businesses can save money even as they develop, launch, and promote the app. The relatively low cost of entry makes web apps attractive to businesses that want to see a quick return on their investment.